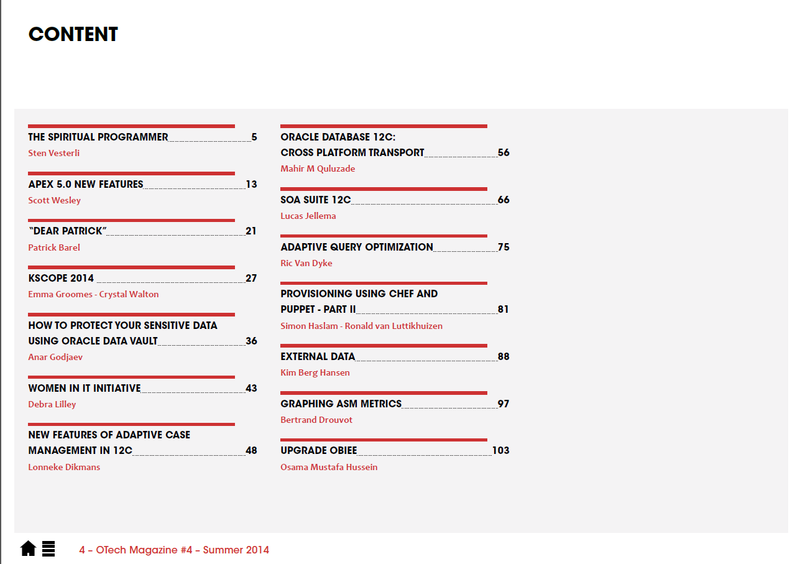 OTech Magazine - The independent magazine for Oracle professionals. 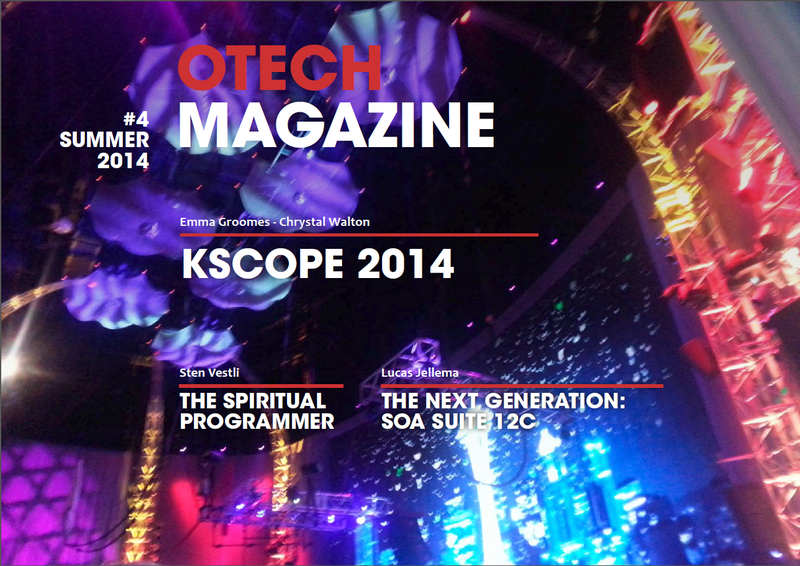 Yesterday fourth issue of the OTech Magazine published. 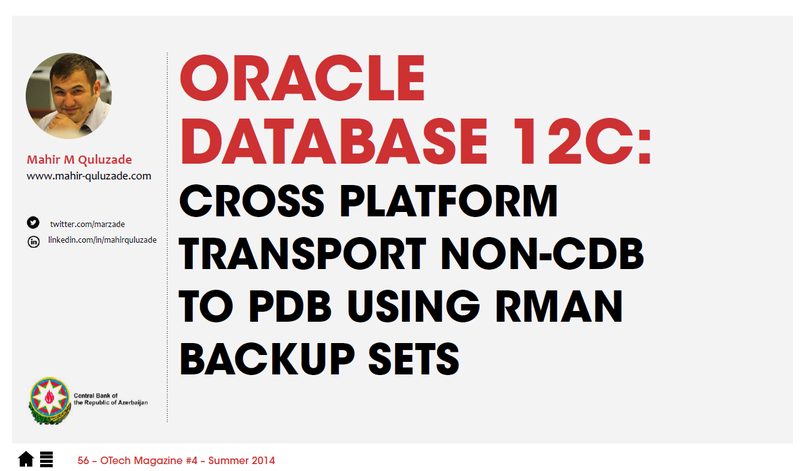 Note: Oracle Database 12c Release 1 (12.1.0.1) used for this article. 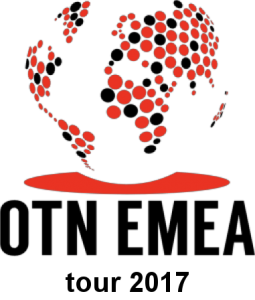 My special thanks to organizer of OTech Magazine Douwe Pieter van den Bos for all efforts.